We, at DNS Accountants offer services such as accounting, tax planning and consulting for all types of businesses, freelancers, and contractors all across the UK. From our inception in 2005, we have managed to develop a huge client base. Our impeccable services have ensured trust and loyalty from our clients throughout the United Kingdom. We provide all kinds of financial assistance that are required in any business. Our contractor accountants in Bushey and other areas such as Harrow, Edgware, etc. are highly efficient and always produce the best reports for your business. We have been able to expand our clientele significantly across the country because of the level of dedication displayed by our employees in the work field. This has enabled us to establish a strong brand name for ourselves in the market. Our senior associates and employees specialize in limited company accounting, tax investigation, tax advice, accounting solutions and consulting for small as well as established businesses. The fees charged by our contractor accountants in Bushey are competitive for the quality of work they do. All members are highly qualified and hold degrees certifications from accounting bodies such as CIMA, ICPA, FCSA, etc. At DNS Accountants, we are dedicated and motivated to help our clients run a smooth business operation without bothering to check the financial records and books regularly. Our chartered accountants in Bushey are always available to assist you! Bushey is a major town in the Hertsmere region in Hertfordshire in the East of England. Bushey Heath is a large district located in the southeast of Bushey, on the border with the district of Harrow. Despite being near London and having Watford at its doorstep, Bushey still maintains the feel of a small township. This is reinforced by events such as the Bushey Festival and the quarter marathon, which is held in the month of July every year and then there is Horticultural Society’s flower and produce the show. Bushey and Bushey Heath frequently feature in many films and TV shows as they are situated near various film studios at Elstree and Borehamwood. Bushey mainly has been in the limelight for the number of scenes in which it has featured in various movies and TV shows, including the famous TV show of Monty Python’s Flying Circus. Bushey has the University of London located in the vicinity as well. 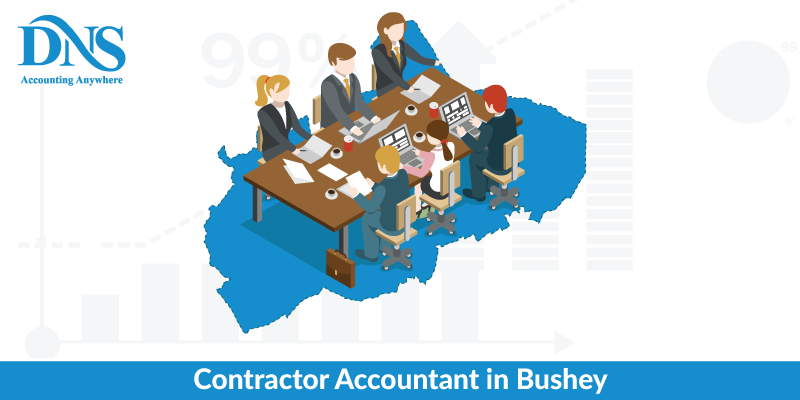 Being a commercially active town, there is a huge demand for professional taxation and accountancy experts in Bushey. At DNS Accountants, we have Chartered accountants, Tax Accountants, Forensic Accountants and Contractor Accountants who provide our clients with the expert advice on matters such as taxation, accountancy, regulatory compliances etc and help them in conducting their business legally without having to bother about the accountancy part of the business. We have developed a strong presence in the market on the basis of our On-time services. For all the business owners in Bushey, we at DNS Accountants provide chartered accountants and contractor accountants to handle all their accountancy related matters. Handling of accounts and managing statutory compliances is in itself a tedious task and required a certain degree of expertise to b handled properly. With our highly skilled accountancy and taxation experts, we are in an unenviable position of providing the best accounting services to all business owners. All our chartered accountants in Bushey have been working in the industry for many years and will act as your trusted advisors and add immense value to your business. 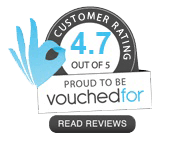 Customer satisfaction is of utmost importance to us and we work round the clock to ensure that you do not have to worry about the accounting part of your business. Tax accountants have to handle the most important task of preparation of tax returns and ensuring that there are no calculation mistakes. Be it any business, big or small, they need to avail services of a tax accountant. We at DNS Accountants, provide you the best tax accountants across the UK to help you manage your business in a better manner. We provide Tax Accountants in Bushey to the business owners as well as independent contractors to relieve them from the headache of the tax accounting. We also provide contractor accountants in Bushey for the needs of the businesses. Our tax accountants are seasoned experts, who ensure that all your tax return are accurate and help you save taxes through legal methods. If you are a non-domiciled UK resident with offshore funds to invest, you should consider Business Investment Relief (BIR) because it is one of the most generous tax relief schemes in a decade. If you are running a business and are looking for investment, this is a good time to look out for potential investment from this source of the investor. First announced by the government in April 2012 to attract foreign investors to the UK, BIR offers investors an attractive opportunity to invest money legally and provides businesses in the UK with potential investors. Although generous, the rules to define what constitutes a remittance to the UK and conditions that have to be satisfied to do it legally are complex, while the financial and domicile circumstances of non-residents/foreign domiciliary are often equally complex. HMRC does offer a statutory clearance procedure before making a BIR investment. We at DNS Accountants, with our team of experts, are there to help you utilise this opportunity by handling all the paperwork and compliances for you. You should definitely take our advice before investing money through this route; else the investment could end up being taxed as a remittance. Our motto at DNS Accountants is to provide flawless financial services to our clients at every step. We ensure that our work is of the best quality and our experts work hard and efficiently to produce reports for your business. We are one of the top 10 contractor accountants in the Bushey and regions such as Harrow, Edgware, Pinner, Stanmore. We take care of all your business needs personally and efficiently. Our accountants are focused on the job and are dedicated to helping your business find new zeniths with their assistance for your financial needs. DNS Accountants are the solution for all your financial needs and we are always there for you!